NOTE: Updated information is included at the end of this article with latest Flipboard issues. Flipboard was launched in July of 2010 as a social news magazine for organizing and sharing content found on the web. Articles, videos and photos can be listed in magazines that users can flip through with the smartphone app or browse through via the Flipboard website. Anyone can create a free account and “flip” articles into personalized magazines to save for future reading or to share with others. Of particular value to authors: we can flip our own articles (Hubs on HubPages) into magazines that we create to organize our content under various topic categories. Flipboard’s terms of service states that we can flip our own content. Flipboard automatically features some flips, as they are called, in areas of the site where people find them when searching for news or information. The main purpose of Flipboard is to share news and informational articles found on the web by flipping them into magazines of various topics. 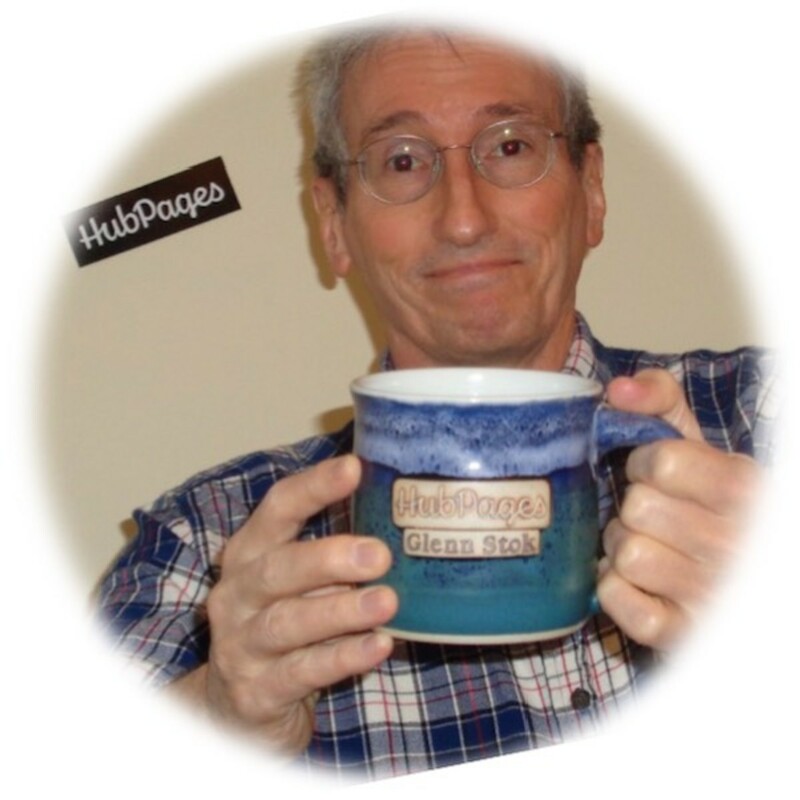 I’m focusing this article on how authors, and particularly those of us on HubPages, can make use of this site to promote our own Hubs. Nevertheless, I also love to share useful information with my followers. I made a separate magazine called “Great Articles That I Found” and I flip articles that I think are useful for others. I’ve done the same with Hubs written by other Hubbers. I created another magazine entitled “Recommended HubPages Articles” and filled it with Hubs I read in the past that I had previously tweeted about. With Flipboard, readers who like something might re-flip the article into their own magazine, increasing the likelihood of someone else finding it. Don’t forget that you’re not the only one creating magazines. Flipboard has become a great resource of information in an easy-to-find format. I already discovered informative articles from the web that I would have missed if it weren’t for all the wonderful curators of flips. When you flip articles to magazines you are a curator too. I even follow other curators whom I discovered that make an effort at organizing useful magazines. Many of us who discussed our experiences in the HubPages Forum discovered that only hubs in the niche network sites did well. It’s almost as if Flipboard has blacklisted HubPages’ home site. Any hubs in the home domain of HubPages never get tagged in topic categories. Those in niche sites get featured on Flipboard because they get tagged into topic categories. 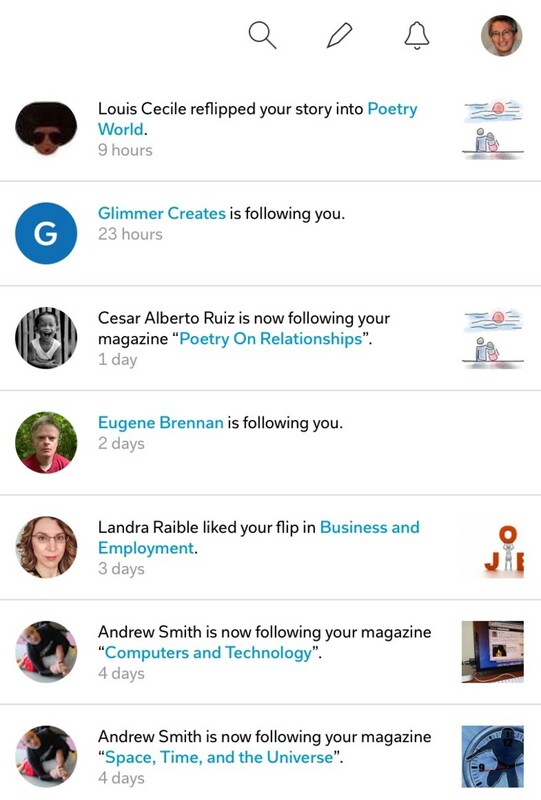 Flips are randomly featured for others who follow specific topics to discover. Include a comment with each flip to attract search traffic. When sharing other flips, describe why you liked the article and why you recommend it. When flipping your own content, provide a detailed explanation of what to expect from it. Explain the most important points. When you create your account, you will see a section in your profile to include a bio. Write something that clearly describes what you do. You’ll get more traffic because the bio is included in the search when people are looking for something or someone specific to their interests. I found that the length of the bio is unlimited on the website but only displays 245 characters on the app. It’s your choice if you want to limit it so that it displays the entire bio for users of the app. I decided to write a lengthy bio since most people probably use the website anyway, but I put the most important information in the first 245 characters. You should also upload an image of yourself, otherwise only your initial will appear in a circle on you profile and that looks incomplete. Just click on that initial and it will let you upload your image from your computer. Now you can start creating magazines to flip your articles into. Just click "NEW MAGAZINE" from your profile as shown above. You can make a magazine for each topic you write about or other articles you want to flip. I found it’s much easier doing this on the website rather than the app. Give each magazine a name and a description. The description is optional but very important since it helps people find your magazine in a search and it helps the system tag the articles to the correct topic category (More on this later). The next step is to add your articles to your magazines. Click the pencil icon at the top to flip. You will only want to add the URL of your hub or other article you want to flip. Don’t write anything else. Don’t try to type in the URL as you may misspell it. You should copy and paste it instead. Click “Post” and you’re done. You can drag flips around within magazines to display in different orders. You can also select one of the images from any flip to be the main image of that specific magazine. You can also drag magazines around to control the order of the display under your profile. This is really a worthwhile thing to do occasionally. You may want to move certain magazines to the top so that they are more noticeable. You need to click refresh on your browser after making any changes in order to see the updated magazine. When I first started using Flipboard I thought there was a delay, but I just needed to refresh the browser to see the changes. Many people use Flipboard to find news and information. Users can select categories of interest to follow, or they can follow other members. They can also create their own magazines to save articles to share or to read later. Their profile lists their magazines that they have created, and they can find the topics and people they follow by clicking “FOLLOWING” from the top of the home page as shown here. Users can also select “COVER STORIES” from the top of the home page. This displays articles that are within the topics they follow. Once they click into a category, selected stories are presented which they can flip through just like the pages of a magazine. When an article is added to a magazine it is automatically tagged to a topic and featured in that category on the site. This helps get views because the article appears in the topic list as people browse what they are following. Notice that the article in the above listing is tagged to the topic “Relationships.” However, not all articles are tagged to topics. As I mentioned earlier, authors on HubPages discovered that only hubs in the niche sites are tagged. So it’s almost a waste of time to place non-niche hubs (those still under HubPages.com home site) into a magazine. The only people who see those are people viewing your own magazines directly. I see a wide discrepancy among articles flipped from other sites as far as being featured is concerned. There seems to be some kind of consideration of how well trusted the site is for having quality. In addition to HP’s niche sites, I see flips people make from Info Barrel also get tagged to a topic and featured as well. Once a flip is tagged to a topic, it gets featured on a rotating schedule. One of my hubs got over 3000 views on the first day by being featured, but then it dropped drastically. Another suddenly came to life a week later and then dropped off. We never know when flips get featured or if they will ever get repeated. There is no way to tag things ourselves. It’s automatic. Unfortunately, in some cases they are tagged in the wrong topics. Some are absolutely silly locations, and that negatively affects the chances of getting traffic. 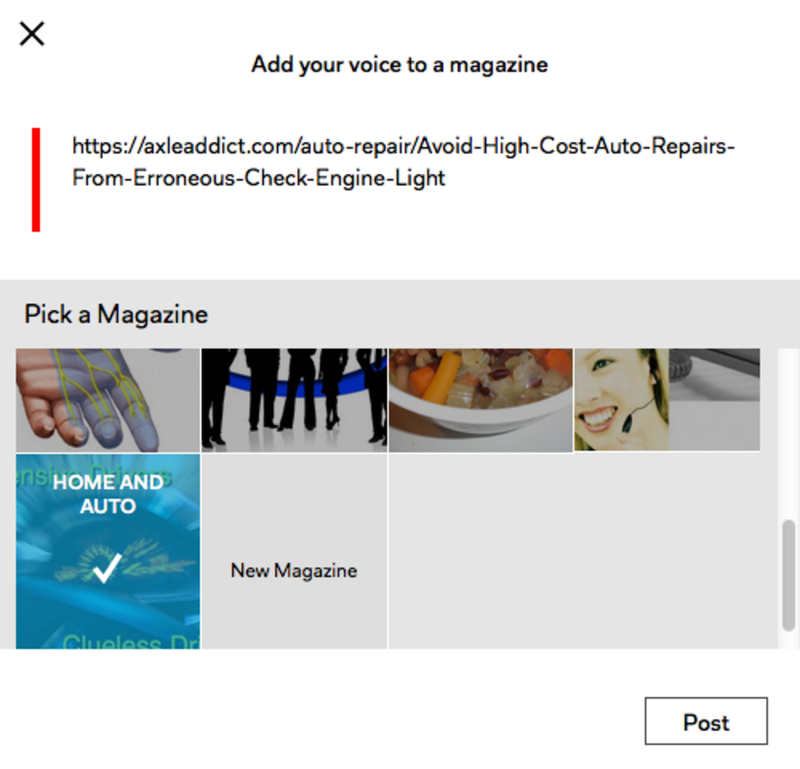 Some of us have tried updating our hubs, removing or changing content that might have been causing the Flipboard Bots to incorrectly choose misleading keywords. However, this process is very difficult because of another issue. Flipboard uses caching, so any change we make is not picked up very quickly at all. I’ll discuss this further in the following section about making content changes. But first let me tell you something important about captions. Adding a caption description to each flip is important so that Flipboard properly tags the flip to the correct topic category. It tries to choose keywords from the content, but it also uses the caption data. Changing the caption later will not be reflected immediately since their server rarely re-crawls to detect updates. They told me that the frequency is based on how much traffic you're getting in the first place. Those with high traffic will be crawled more often to detect any updates. This is why it's important to plan ahead of time and have a good title on your article and a good caption on the flip before adding it to a magazine. As an author of your own content, if you make changes such as a new title or removing content that had caused it to be listed in the wrong topic category, then you need to wait for Flipboard to re-crawl to detect the updates. If you delete the flip and add it back to the magazine, it will reappear with the old data because they use a cache copy and the old content is reused. I asked the support staff about this and they confirmed that their server saves a cache copy of all flips. The server will check the original content occasionally and will automatically re-scrape any changes that are made. How often and how soon completely depends on how popular the feed is with each individual flip. Therefore, you just need to be very patient when making changes. There is no set rule how long it takes to re-scrape the data and update their own cache. When people follow you or one of your magazines, or like your flips, you will receive an email notification if you opted for that in your email settings. You can also see all recent notifications by clicking the bell icon on the website or clicking “Notifications” in the app. Those who may be familiar with Reddit will know that they have strict guidelines against self-promotion. On Reddit if you just start submitting your links it will be unwelcome and may be removed as spam. Even HubPages was banned from Pinterest for a while in the past. I’m wondering if the day will come that Flipboard changes their mind. This may happen if people start abusing the system with self-promotion. Stay abreast of the Flipboard community guidelines, just in case they decide to make some rules against self-promotion in the future. I’m not an attorney, but in my opinion that wording clearly refers to usage of their software. That clearly means using the app and the website tools. It does not exclude flipping commercial content, such as articles that pay revenue for ads. The terms also give Flipboard permission to use your content in a way they believe is necessary to provide service. 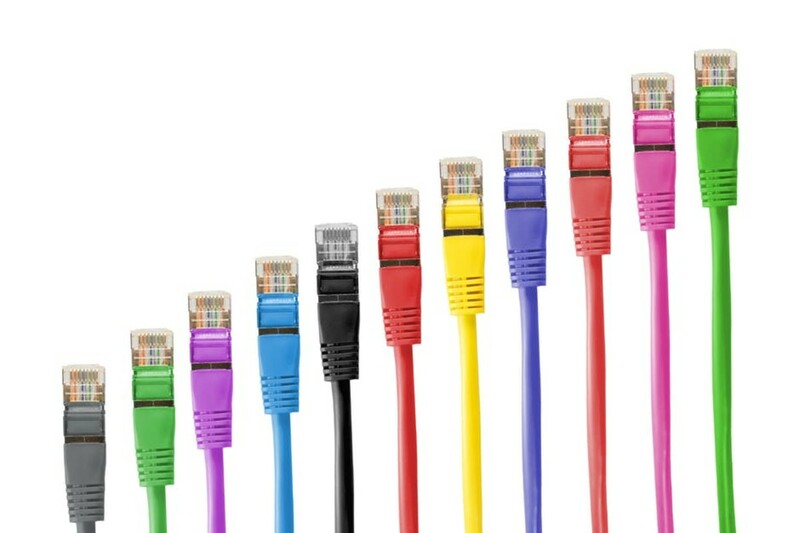 This includes storing, displaying, reproducing and distributing your content. No need to worry about duplicate content. Flipboard does not display copies of your flipped content. This refers to other content you may post such as comments you post in listings and descriptions you add to flips. The wording of this section of the TOS simply means that the listings and other content can be displayed to provide the service they intended, and reproduced for purposes of backup to maintain integrity of the system. I have a theory. We get traffic from Google only when people are searching for something and we have an article with the answer. However, traffic from Flipboard can happen simply if the title and primary image grabs attention, as is the case with the title I used for the hub shown below in the Google Real-Time report. It started getting 10 to 20 views per minute. I caught it at 14 real-time views in the screen capture shown here. That added up to over 3000 views in the first 24 hours, but then it quickly died down and is only getting about 40 views per day from Flipboard now. Flipboard traffic seems to come in spurts. That seems to be the routine for most listings. It seems that Flipboard rotates things around so you never know when you get a spurt of traffic again. I started getting spurts of Flipboard traffic for a poem I published recently that was quickly selected for the Letterpile.com niche site. Organic traffic for poems is one of the most difficult things to achieve. Notice in the Real-Time report above that some readers that came from Flipboard are viewing five and more hubs in sequence. I never saw that from Google organic traffic. People searching for information via Google tend to just read the one hub they found. If you use the mobile app, click the gear icon to edit a magazine. If you access the site on your desktop browser, you need to click the word “EDIT” that you will see below the main image of the magazine. If you access the site with a browser on an iPad, the EDIT link is not there. You can edit a magazine by starting at you profile and click the Analytics icon. Then select the magazine from the list on the left side. You will see “Edit Magazine” right under the image of the magazine. Flipboard does not organize the maintenance option very well and it’s hard to find what you need when you want to do simple tasks. Click the analytics icon (looks like a little graph). Select a magazine from the left column. Click “Delete Magazine” at the lower left column. Select the Flip you want to delete. Click “Delete” at the lower left (see image below). Note that you can also follow these steps to edit and change the Caption for the listing. 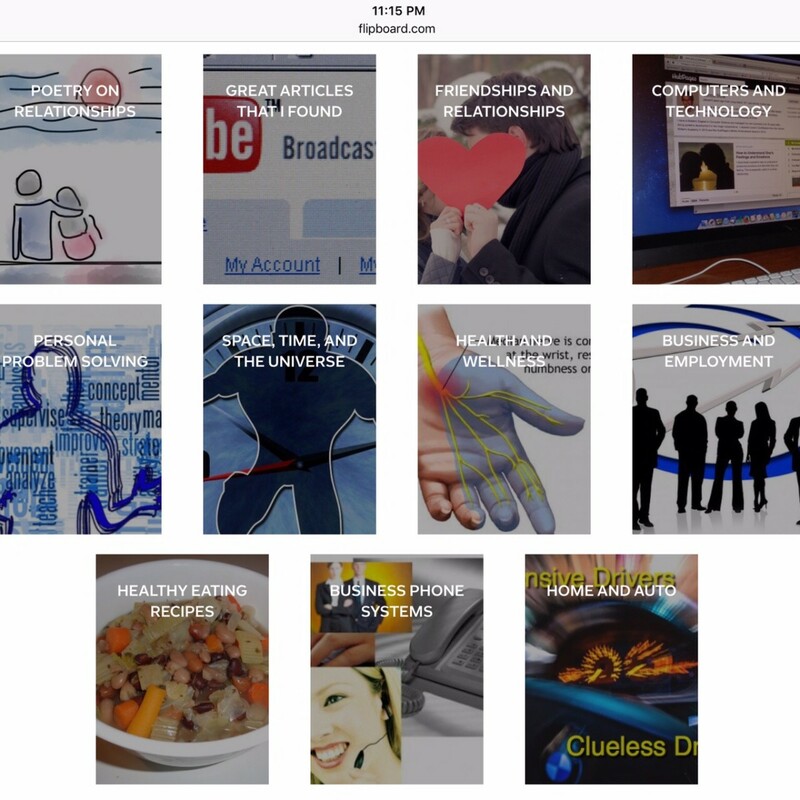 I have a special magazine I created on Flipboard where I curate other Hubbers hubs, called "Recommended HubPages Articles." If you do that too, you have to keep managing it. Every once in a while a hub I had flipped has been deleted later by the Hubber, so I need to clean up now and then. It's easy to remove a listing from a magazine. Just edit the magazine and click the X at the top right as shown here. As mentioned earlier, I had created a magazine listing all the Hubs of other Hubbers that I had tweeted about over the past few years. I decided to put out a tweet about that magazine. I noticed that my tweet included a Twitter Card. That’s a feature that displays more information and a related image along on any tweet anyone does. 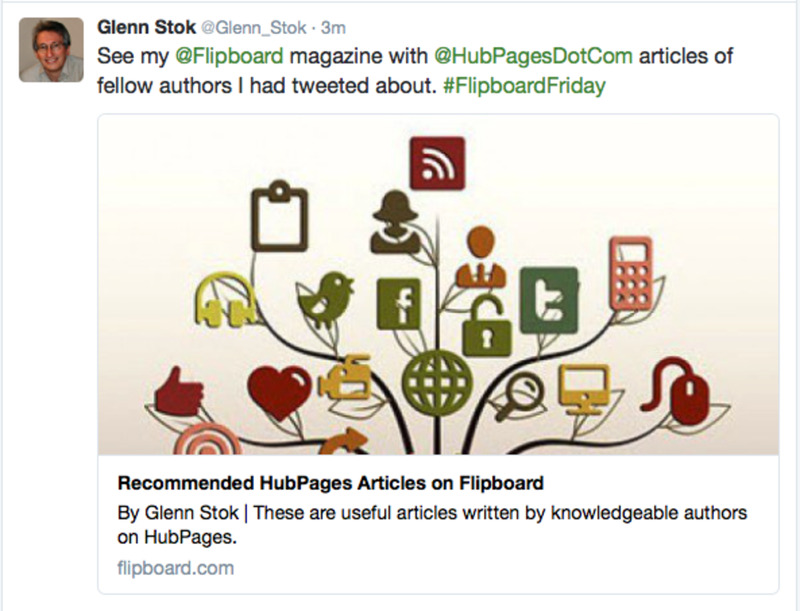 I’m using Twitter Cards on my author site too, so I quickly recognized it coming from Flipboard. It’s nice to see that they implemented it too. You see, Twitter provides HTML code that Webmasters can implement on their website to display a Twitter Card when people tweet your page. Here is that Tweet of mine. See how the Twitter Card shows more detail? Nice, don’t you think? When you click on “Cover Stories” you get a feed of everything you follow. I use this a lot. I am finding Flipboard to be a very useful way to organize everything on the Web that I’m interested in. Looking at it from that angle, I can see how this is going to grow in popularity, and that will only increase the benefit to us as authors looking for ways to promote our work. I also created a magazine of my most important Twitter Lists. These are lists you can create in your Twitter account to organize your feed with specific news items. Now those lists can be flipped into a magazine and I find that scrolling through that magazine is a lot friendlier than the raw listing in Twitter. I even made a magazine of “Tweets Mentioning Me” so I can quickly find them. Flipboard dynamically fills that magazine the same way as it fills the Twitter feed into a magazine. In addition to Twitter, you can connect Flipboard to up to 11 other social networks to organization your entire web reading under one roof. This includes Facebook, Instagram, Google+, YouTube, LinkedIn, Flickr, and more. Flipboard is a great tool to use when you’re doing product research. For example, say you are looking for product comparisons for something you want to buy. You do a bunch of Google searches and you find a few articles discussing the product. If you flip each article into a magazine you created for that research, you’d have a neat organization to review later. This is where I'll add new information as appropriate. Lately I discovered that Flipboard is finally updating their database more frequently. When I change a title on a hub, for example, the change is updated on Flipboard within a month. In the past it never was updated. HubPages had once included a Flip icon with the social sharing options in the left side floating column. Social sharing icons use extensive code that have a large overhead, slowing down page-load time. Therefore, it was removed since few people used it anyway. You can still flip any article on HubPages by copy and pasting the URL into Flipboard. I usually open Flipboard ina second tab on my browser. That makes it easy. In February 2018 I noticed that some flips of my own articles had attribution to another author. When I investigated I saw what was happening. HubPages lists related and popular articles on the right column in desktop view, and Flipboard is obviously taking the authors names from those listings and using it for the attribution on my articles. I decided to delete all the incorrect flip listings. And in some cases where the problem was extensive, I removed entire magazines. If you use Flipboard a lot then I suggest you review your old flips and make sure they are still correct. Remove any that have the wrong information. Thanks, Glen, for this very detailed article. I'm not very good at promoting my articles, and a little lazy about learning more about it. This article should help, and I'm going to work more on this type of activity. Simone - I’ve had similar results where I would get huge traffic from Flipboard at one time, and then it would drop to almost nothing. It seems to come and go. As for older listings, once it’s been there for a while it is not considered new anymore. Once thing that does help is to flip other people’s articles. I noticed that some of those people who I had shared, had also followed up and shared the experience of one of my articles. Of course that’s hit or miss because many people don’t pay attention to see who’s flipping their content. I have been a Flipboard user for a while now and this was a great read to see if I am still doing everything correctly. I am hoping you can help me with a Flipboard issue. I used to get over 2000 people a day from Flipboard and for a few weeks now I am not even getting 80 people a day. My articles seem to not be showing up as "new" for Flipboard anymore. Do you know any other factors that could influence traffic this much? Or why articles don't show up as new? I haven't changed anything on my website, so my guess is the issue is with Flipboard, but they can't seem to help me. Ram Ramakrishnan - Thank you Ram. I appreciate the recognition. After I spent so much time deciphering the best methods to make Flipboard work for us, I felt I just needed to share that information. It works for authors on any platform. I haven't come across a more detailed and wonderfully explained tutorial than this one, Glenn. You more than deserve the "Most Helpful Hubber" award. Jennifer, Try posting your query on the Wordpress Group on Facebook. Maybe someone there might know how to make Wordpress flip properly. As I mentioned, I'm not a Wordpress user so I have no idea. I can only help your with the Flipboard side of it. By the way, did you ever try flipping one of your Wordpress pages manually? It's easy to do. Just copy the URL, click the pen icon on Flipboard, paste the URL and select or create a magazine. Thanks Glenn. Yes, Wordpress has a setting to auto-post links to a Flipboard magazine. It is using the social media plug in called SNAP. For some reason, in the past 15 or so months, Flipboard has never once categorized any of my links. This is happening to both my blog posts and another blogger under the same blog network (20+ other bloggers are having their links categorized by Flipboard with no problem). So I believe it is a wordpress setting. I've probably had 1,000+ posts over this time and there is no possible way that not one of them was put into a category. Know of anyone who is a Flipboard Guru and Wordpress Guru who I can hire? Thank you! 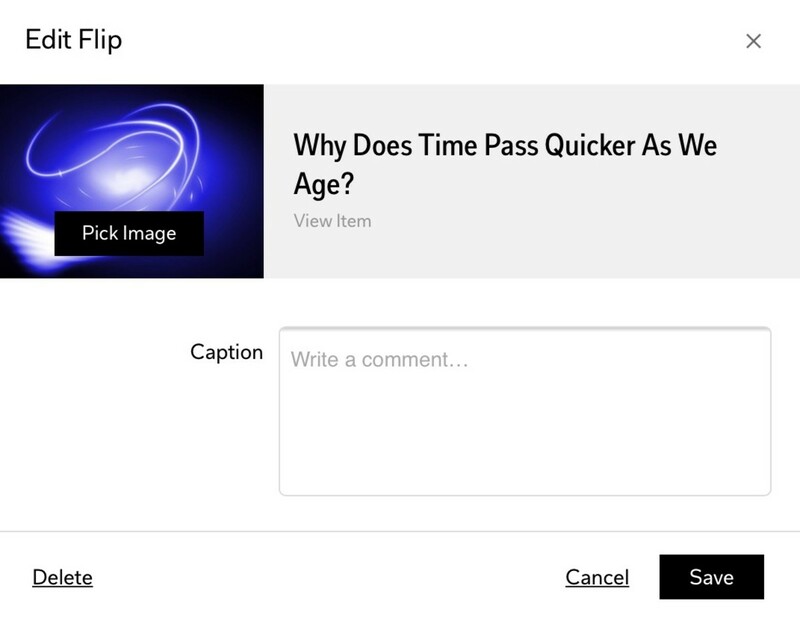 Jennifer, Flipping means to post a link in a Flipboard magazine that points to your article. If none of your posts are given categories it might be because Flipboard can’t tell what category they belong to. Hi Glenn, thanks again! Wordpress has a feature to auto post to Flipboard, I am not sure if that means they are being flipped, I am just getting to understand Flipboard so not really sure what being flipped means. I do not have individual magazines set up, just one where all posts go into. I will look into setting up individual magazines. I am positive other bloggers are getting extremely high page views, and many of them are, not just one or two. I've tried looking into Wordpress settings but there isn't much, I'll take another look. The biggest difference I see is that not one of my posts have ever been given a category by Flipboard which I find odd. Jennifer - Getting flips categorized has always been hit or miss with Flipboard. 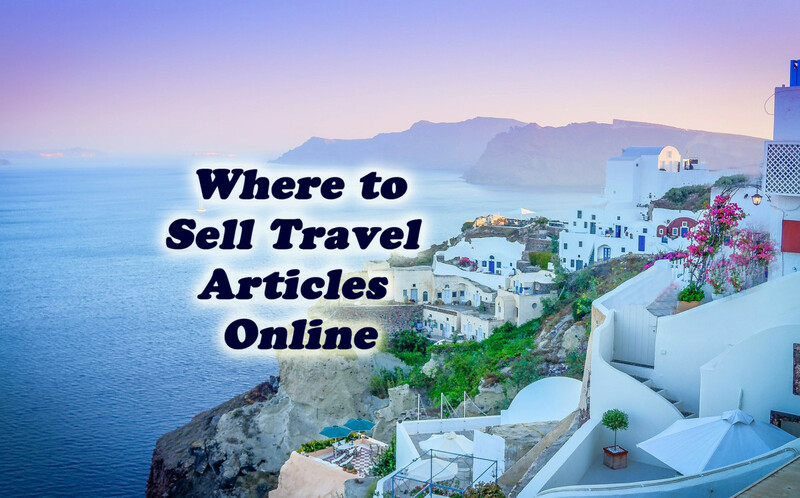 You can improve the success of your flips by creating individual magazines for each of your travel sub-topics. One for airlines, another for hotels, and so on. Then flip your blogs to the specific magazines. That’s how I break up my articles on Flipboard since I cover a wide range of topics. This article was extremely helpful, thank you! Wondering if you are able to help me with a few questions. I have a travel deals web page that is part of a larger blogger network. The blog network automatically posts all blog posts to Flipboard and I've noticed that every other blogger has a category tied to their Flipboard post, except mine. I also created my own Flipboard account and still none of my posts on Flipboard are getting categorized. I talk about travel, airlines, hotels, deals, etc., but yet nothing is getting into any of those categories, any ideas? Any tricks to get things categorized? Thank you so much! MsDora, when you set up your Flipboard magazines, make sure to focus on the hubs that are in niche sites since they are indexed better. I realize now that there are things I need to do. Thank you for this very comprehensive tutorial on Flipboard. Very helpful! Great article Glenn! Thank You So Much for writing it. I dislike social network sites. After reading your article, I have learned that Flipboard is an entirely different animal. I'm convinced that it would be beneficial for me to take the time and effort to use it. viking305 - You can change your username and/or your name on your settings page. To follow anyone, just go to their profile and you will see the "follow" button. You can also follow individual magazines if you don't want to follow everything someone flips. Thanks for writing such an informative article about Flipboard. I signed up a few weeks ago. Also can you show me how to follow other writers. I can not see where the button is. Sam Montana - Be careful what you read and who is saying it. Some people post inaccurate information without checking the source. Google is not ruining anything. They are in business to make money and so is HubPages. 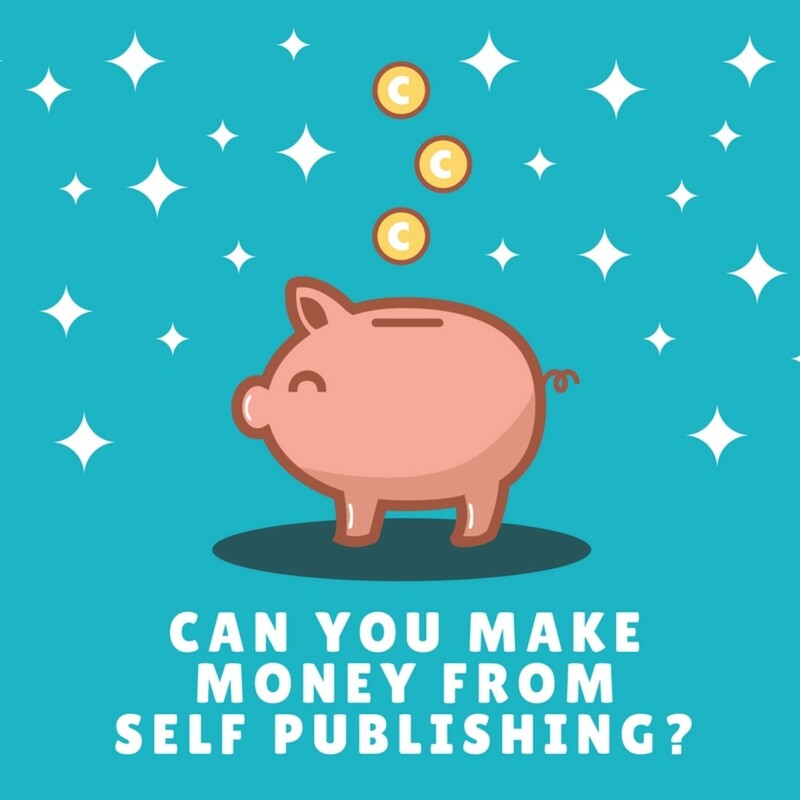 In return, we authors make money when we follow the rules and do a complete job. HubPages has constantly been adding many features that help us rank well with Google. I see you are not taking advantage of them. For example, you have no author bio on your hubs, you have not modified your hubs to be mobile friendly, and you have no hubs in niche sites. All of this has been described in the HubPages blogs and weekly newsletters. Don't try to use Flipboard until you do these things. You'll get better results once you've competed all the prerequisites. Glenn, I read here that someone said Blogger was blacklisted. It just seems that we started with Twitter, Pinterest and now Flipboard, and we are always trying to promote our articles while Google seems to ruin everything in time. Sam Montana - First of all, people are only guessing that HubPages is blacklisted, due to the way they don't index hub that are on the home site. But many of our hubs are now on the niche sites, and they are indexed very well on Flipboard. That's why we are all saying in the forums to only flip hubs that have been moved to niche sites. You also mentioned that you think Blogger is blacklisted. Where did you hear that? Great article, but what good is this Flipboard is HP and Blogger are black listed on their website. Marisa Wright - Those are good questions, and I realize these points need clarification. If you look closer at that field, it says "write a comment or add a website to your magazine." That's why I said not to write a comment. If you do, then you are just adding that text to your magazine. That's is fine if that's all you want to do. But if you want to flip an article, then you need to paste the URL into that field instead of writing anything else. Later in the article I was talking about adding a caption, which goes in the caption field. Captions can be added after you flip, or at the same time if you are using the app. The web based Flipboard does not let you add a caption at the same time as doing the flip. They never made both work the same (as of yet). As for the images, Flipboard bots decide when and if to use an image. Based on my own experience this seems to be random. I never could find any reasoning behind the decision to include an image or not. It's just something we have to accept for now and we have no control over the selection. Note, however, that you DO have the ability to select which image to use as the main image for the magazine after you've added two or more flips. They are constantly making changes tweaking things, so we never know what they will do going forward. They are quite active behind the scene and have been very responsive to my emails when I had asked questions when I was writing this hub. They even retweeted my tweet. Glenn, thanks so much for this article. I signed up for Flipboard ages ago but couldn't fathom how to use it! A couple of questions. Your instructions say, just paste the URL, don't write anything - and then later you say you must create a caption before flipping? I was able to add a caption AFTER I had flipped but I'm not sure if that's sufficient. Also, I've flipped articles from a couple of websites but although there is a great image in both articles, Flipboard can't find either of them. Any idea why that might be? letstalkabouteduc - These are good questions. and time will tell. The Flipboard share button on HubPages is new, so I am sure we will discover new experiences, good or bad, over time. I think it's too soon to notice any negative effects (if any). Personally, I like the ease of flipping now by using the share button. 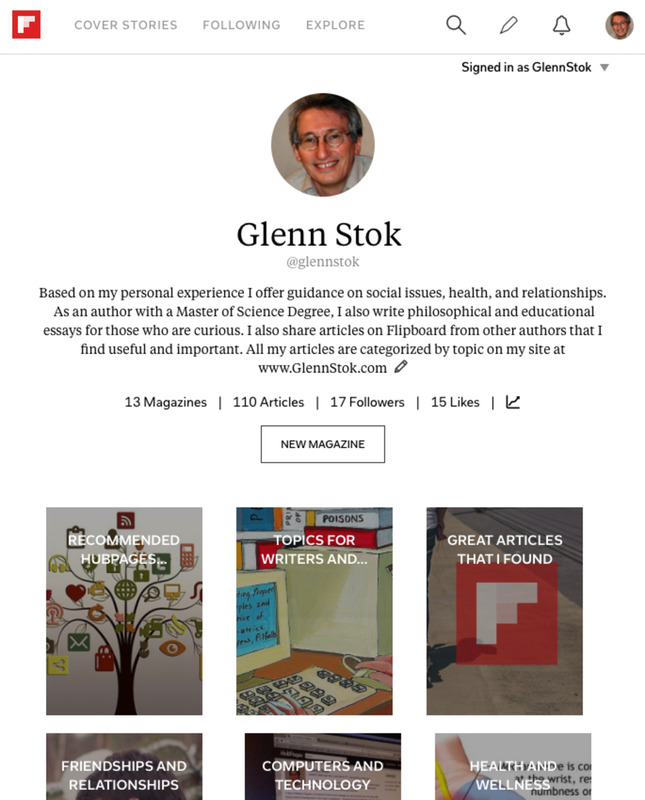 Hey Glenn -- I've had good success with Flipboard thanks to your helpful article. However, when using the new Flipboard button with two recent Hubs, I only got an uptick. Are we ruining a good thing by over using it? Are other Hubbers having the same experience? Thanks! wilderness - If you include a useful caption with your flip, there is a good chance that it will recycle and give spurts of extra traffic in the future as well. Thanks, Glenn - some good information here that I can use. I tried flipping a couple of hubs and got an extra 4,000 views out of one in the first 12 hours. Even if it goes away (and I assume it will), it's well worth the effort. This gives me some good tips on how to continue. Thanks. gerimcclym - That's great Geri. You did a great job. I see you included good captions and that you have a similar bio as you used on HubPages. You could also add your picture, same as you have on your HubPages profile. It's a nice image of you and will help others find you. Let me know how it works out. 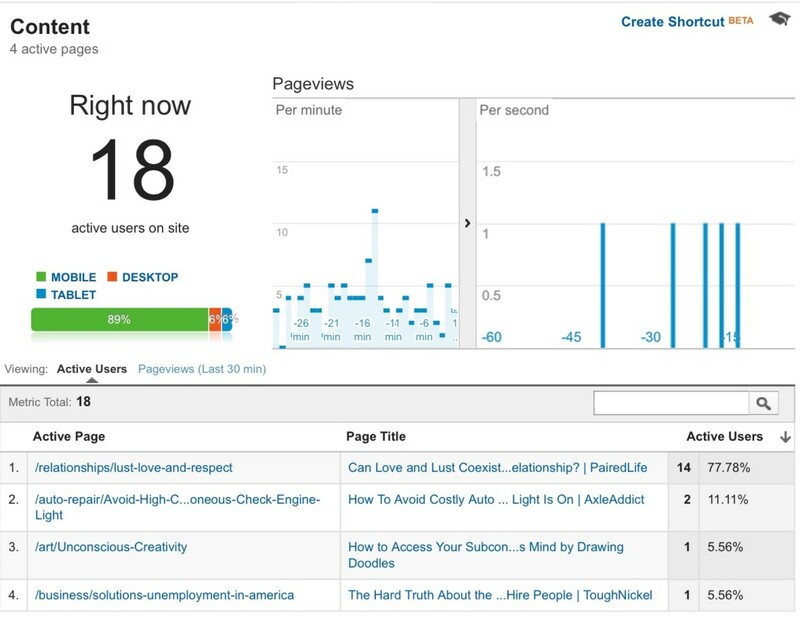 After a few days, check your traffic stats and referrers to see what's coming from Flipboard. Thanks for this very helpful article, Glenn. I just flipped several of my articles into a magazine. Your hub was great and very helpful. I just had a problem figuring out captions because tech stuff overwhelms me. I must have missed your explanation. Catherine, I mention how to edit captions using the web at the end of my hub. But it's different with the app. Since there are so many differences, in order to keep things simple this hub is related to using the web, as I mentioned at the start in the section "How to Set Up Your Flipboard." Changing captions on the web I already explain in this hub: Click the Analytics icon on your profile and then select the magazine, then click "edit magazine" and you will be able to add or change captions on individual flips. With the app, go to the magazine and click the gear icon at the top left. Then select the article you want to update. I was referring to the caption that works differently on the web. Sometimes needing to update is a drag I do some blogs on politics and I have to constantly update those. CatherineGiordano - You are right that Flipboard added the web version for PC access later. They started with the mobile app. It's unusual that a company goes in that direction, but they felt it was necessary to add web access too. I did make reference to both the web and the app versions, although the web version keeps changing since they are always playing with modifications. Please tell me where I missed it, and I'll be glad to add the information. This is such a great help if you are new to flipboard. Thank you for putting all this information together in one place and for you complete and easy-to-understand explanations. I am using a PC for Flipboard which I understand is a newer feature for Flipboard. (I almost gave up on Flipboard because came upon what must have been some old information on the internet that said that PC was only for mobile devices.) May I suggest that you update some of the sections to include info for PC users. After reading this hub, I put some of my hubs up on Flipboard and within hours I had 3000 views. I gather this really high traffic won't last, but even a small number of extra views helps get me to payout. Thanks for the step by step info Glenn. I tried Flipboard when somebody "discovered" it and shared that on the forums, but computer skills are not my forte. Maybe I can do it now! I've had a lot of hubs moved to niches and am happy with additional money and traffic. Cynthia Hoover - That's great news Cynthia. Flipboard sure works well bringing traffic to our hubs when all its features are used properly. Glenn Thank You! After reading this for the first time I went and reworked some of my magazines. 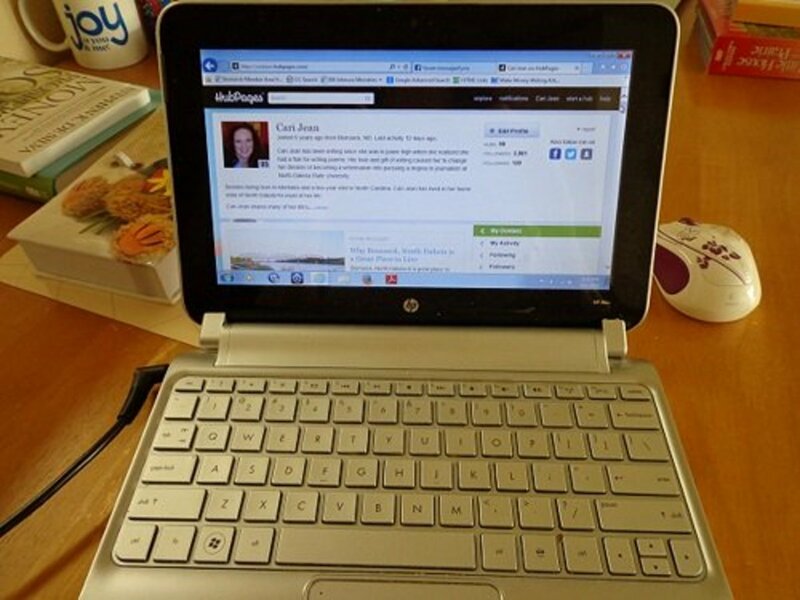 Overnight my views skyrocketed as one of my hubs on a niche site was flipped and featured! Very sound advice you have given and I cannot thank you enough. Admittedly I really did not know what I was doing/supposed to do with flipboard! Again thanks so much for the wonderful advice for those of us who needed some direction and explanation for using flipboard! randomcreative - Yes I see that. Great work Rose! Just read a hub of yours that you flipped. Commented in it and flipped it to "Recommended Hubs". Thanks, Glenn! I'm slowly working on creating new magazines on Flipboard that fit my various niches. Thanks for the explanation, Glenn! I do plan on checking it out! 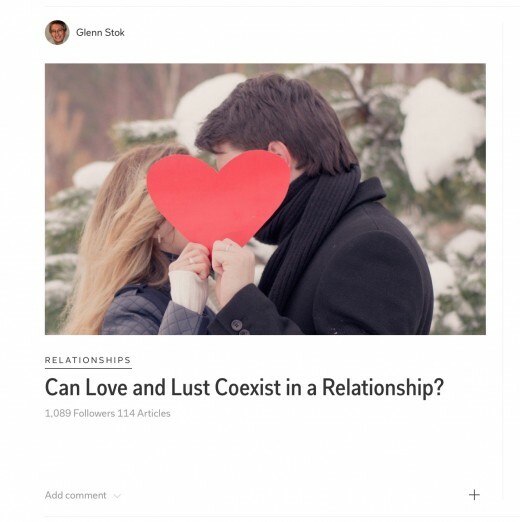 Victoria Lynn - The main difference is that you can just "pin" images with Pinterest, but with Flipboard you "flip" a reference to an article along with a caption that describes the article. Pinterest doesn't have the ability to add captions. In addition, a flip can get featured based on information in the article and in the caption. I agree there are many similarities. However, the uniqueness of Flipboard gives it a better advantage in my opinion and my experiences so far. Like someone else mentioned, I wonder how it's different from Pinterest. Articles are saved into "magazines" instead of "boards," but it doesn't sound that much different except for maybe a different look? And maybe it gets better traffic? I'm curious and will check into it. Perhaps I won't be able to see the difference until I get into it. Thanks for all the detailed information. This is the first I've heard of Flipboard! randomcreative - I found your Flipboard Rose. You set it up nicely with your image and bio. Good going! I see you have many hubs on niche sites. You should add them too since niche hubs work better on Flipboard. They get featured in topic categories. I've been meaning to check out Flipboard for ages. Your fantastic article inspired me to take the plunge at last. We'll see how it goes! I'm following you now. @RoseClearfield on Flipboard if you want to follow back. Thanks again! This is a great resource. cclitgirl - Ha ha. I figured that. It happens to me too. I finally added the spelling of Flipboard to my spelling correction dictionary. Right-clicking should give you that option. Drat...my spell check corrected it to Clipboard, lol. cclitgirl - We also have a couple of forum threads on Flipboard (not Clipboard) where a bunch of us have been comparing notes. This is super interesting and definitely have to share. I'd never heard of Clipboard. Where have I been!? This is incredible! And the info about the way web traffic behaves is really interesting. NateB11 - Flipboard seems to be safe, and their management is very responsive to support emails. I'll look for your magazines. Thanks for the flip. This is very helpful, Glenn, thanks. I decided to give Flipboard a shot after reading about it on the forums. I'm pretty wary of sites where you can promote work because I have this fear of getting bad backlinks. But this site seems worthy of a try if for nothing other than a good bookmarking resource. I should flip this article as a good reference for using Flipboard. revolutionbjj - I guess what you're saying is that there is not much interest in gaming. It's not my thing but I thought it was BIG. Give it time. True, but for HowTheyPlay, we're talking about possibly dozens of views (as opposed to hundreds or even thousands for other niche sites). Nevertheless, I'll take it. DrMark1961 - Good point Mark. Thanks for adding that information. That applies to any network niche site. I always reflip immediately when a hub gets moved to a niche site. You are right, it always brings a sudden influx of traffic from Flipboard. I make sure I add a good caption along with it. revolutionbjj--I think there is a HP algortihm that determines what is on the front page of each niche site (based on Hubber score?) so when each of your hubs does get moved to Howtheyplay be sure to flip it right away. If it gets a lot of visits from Flipboard, it will be more likely to appear on the front page under "popular" and you will get even more page views. revolutionbjj - Yes, that's what I mean. 'Post' is actually the wrong terminology. You 'flip' an article to a magazine but you 'post' a comment. Re-flip = just post again? revolutionbjj - You can re-flip after they are moved to the niche site, so no need to wait. I had a few Hubs moved after I flopped them. Even though they follow the redirection anyway, I still decided to delete the first one and re-flip with the URL of the niche hub. Since it's a different URL, Flipboard will immediately tag it to the topic category. Good luck with it. Thanks, Glenn. I just added a caption yesterday, and will probably make a project of doing that to all of them over time. Right now, I'm wary to spend too much energy on my hubs, as many of them are slowly migrating over to "Howtheyplay", a niche site, and I understand they are much more likely to get traffic. Right now, I'm getting about 10 views a day from Flipboard, or around 3% of my total views, give or take. Like others, I got a nice initial spike, although mine was in the hundreds, not the thousands. revolutionbjj - Thanks Andrew. 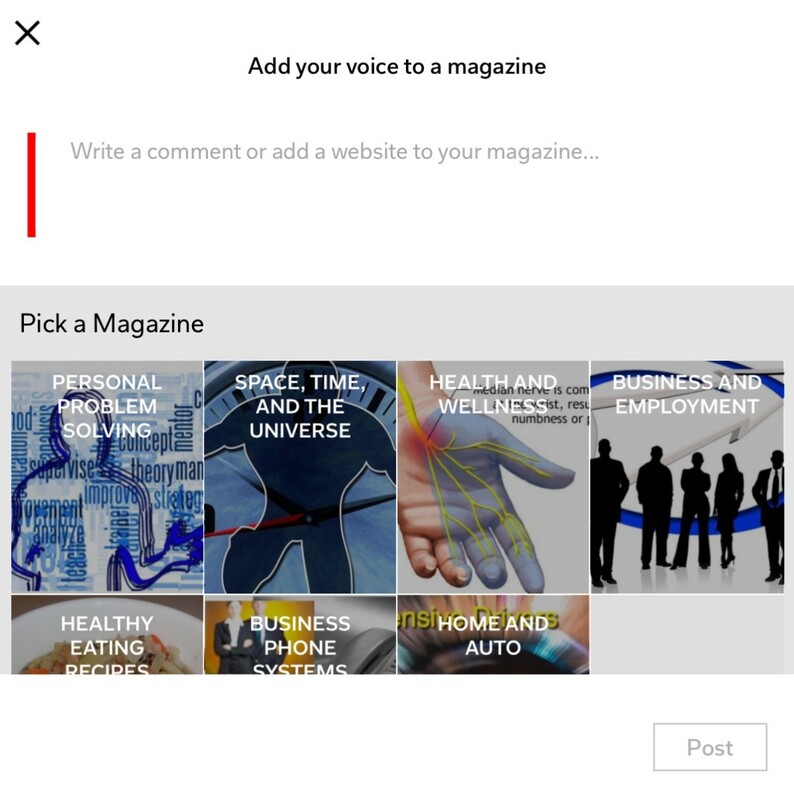 Your presence in my hub is a result of your active involvement in Flipboard. I see you have competed your profile with an image and bio and you set up your magazines very well. Most important is that you have been adding captions to your flips. Most others are still skipping that part and wondering why they are not getting results. How is your traffic from your flips? Great work, Glenn! Tickled to see that I made it into the article as well. DrMark1961 - Good timing Mark, I'm just moderating my comments right now. Blogger may not get tagged. If it's not tagged it won't appear in featured topics and traffic will be limited to only followers. I can leave comments on why own flips. Did last week, and just successfully tried another right now. Note that they seem to be installing new code. I keep seeing changes to some features, and some things break and need a browser refresh to fix it. Every once in a while my magazines are replaced by just two meaningless system mags. But when I refresh I get mine back again and all is well. I looked at your account and everything looks fine. You have 12 mags with 94 flips. Remember to log in the same way each time. If you create your account with your email and then later log in with Facebook (for example), you'll end up with two accounts. That's all for now. Back to my weekend relaxation. I think that Blogger is also "blacklisted", similar to Hubpages. Have you run across any Blogger articles in your reading? I have posted some from myself and another person and have had no traffic. Are you able to make comments on your own posts? When I click on "comment", a window pops up but I am not able to leave comments on my own flips. Timetraveler2 - Updates to the original content are reflected on Flipboard slowly for the reasons I explained in the article. I agree that a better learning center would be useful than the videos they supply, but my trick is to experiment with every option to see what they do. That's how I learned how it all works. I really hope the developers of this site will get busy and make it easier to edit articles, etc. and get immediate updates. It would also be nice if they would include a learning center that houses the info you just supplied. You obviously have a good handle on this...wish I did. Thanks for this one, Glenn and continued good luck with Flipboard. Norma, See my reply in your hub where you mentioned the same issues. 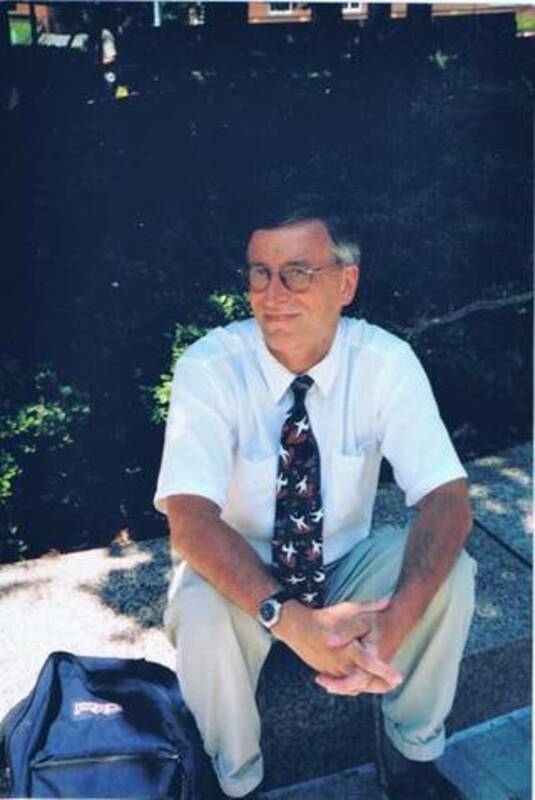 You have a great talent as an educational author. You're just missing SEO items such as "About the Author" bio that shows authority, titles that grab attention, and niche site placement. That can all be corrected. You should also change your Flipboard username (in settings) to match your HubPages username so people can find you. I tried flipboard and got no where. I have submitted articles to different sites for years and done well but not on Hub Pages. I do not know if my articles are terrible or what. My article that got the most views has the lowest score. I want to thank you for following me on flipboard. I appreciate it. FlourishAnyway - I found your account on Flipboard and followed you. I see you have no flips yet, but you do have your picture there and that's a good start. Most people forget that important step as you may have noticed. The traffic from Flipboard seems to come and go. I had a surge again after a lull period. Remember that it helps to include a caption on flips and also to comment on other flips you like. It's a social site and commenting helps get you recognized. Also put a good bio on your profile since that is searchable. Just click the pen icon to get started flipping. Read the section again where I explain how to flip articles. Good luck. This was SO helpful, and I am bookmarking it. I created an account and got stuck at the point of how to flip my own content (or any content that I wanted to share). I didn't know what to do so I put it off. I have had surges of traffic from Flipboard that were large then died down within 24-48 hours. It was neat while it lasted but encouraged me to want to know more. Wow! HubPages quickly selected this hub for promotion to the LetterPile niche site in less than a day. So I reposted the flip on Flipboard and since it's in a niche site now, they immediately featured it under the Flipboard topic category. sallybea - Thanks, Sally, for adding all that information about your own experience with Flipboard. That helps others further understand what can be done with it. Great Hub Glen! I have now included this one in my own Magazine of helpful and interesting things which I have found. I will definitely be tweeting this one too. I love the way you have set out this article on HubPages. You really have done a terrific job. The content is so helpful and I can see myself coming back again and again, to catch up on things as I am sure you will be updating it from time to time with changes you discover and more interesting things to share about Flipboard. My experience with Flipboard has been very positive. It has definitely boosted my earnings here. I saw over 5000 visitors in my first two weeks. It was such a thrill to see how many visitors I had at one time on Google Realtime. Using photos which are my own and of high quality definitely helps as these are the first thing anyone will see. I have added a Flipboard button to my Chrome Browser. It makes it so easy for me to flip any article I find interesting with no fuss. Once in my magazine, I can always return to Flipboard where it is safely stored and categorized in a way which lets me find it again in no time. Thanks for sharing. letstalkabouteduc - Many of us had the same experience with tremendous success at the start, and then it slows down. As I mentioned, my first flip got over 3000 views the first day. But that didn't happen anymore. However, the present traffic is still making it worthwhile and if featuring does rotate, then higher traffic may happen again. Adding a good bio and captions on flips helps. B. Leekley - It's very different from Pinterest. You can organize articles under different topics by simply creating magazines for each category. Look for the Forum that I mentioned to learn what everyone has been sharing. Glenn, you're the bomb for so thoroughly explaining Flipboard to us fellow Hubbers. I had tremendous success with it when I first started by it's really slowed down. I need to go back and fill out more information as you suggest. Flipboard sounds very much like Pinterest. How is it essentially different, if it is, except that one says bulletin boards and the other says magazines and either could as well say bags or bins? I rarely go to my Pinterest account except to pin one my my hubs or a hub I like.